Do you ever get a tune in your head that won’t quit, just keeps replaying, again and again, no matter what? Hope can sound like that – a repetitious melody that disallows any other thought and won’t let you rest. Of course there’s no definitive answer to whether or not hope is a blessing. It remains a word of many colors – some somber, some bright. Speaking of color, April’s prompt from Leah Piken Kolidas at Creative Every Day is color. Rainbow seemed an appropriate association for both color and hope. 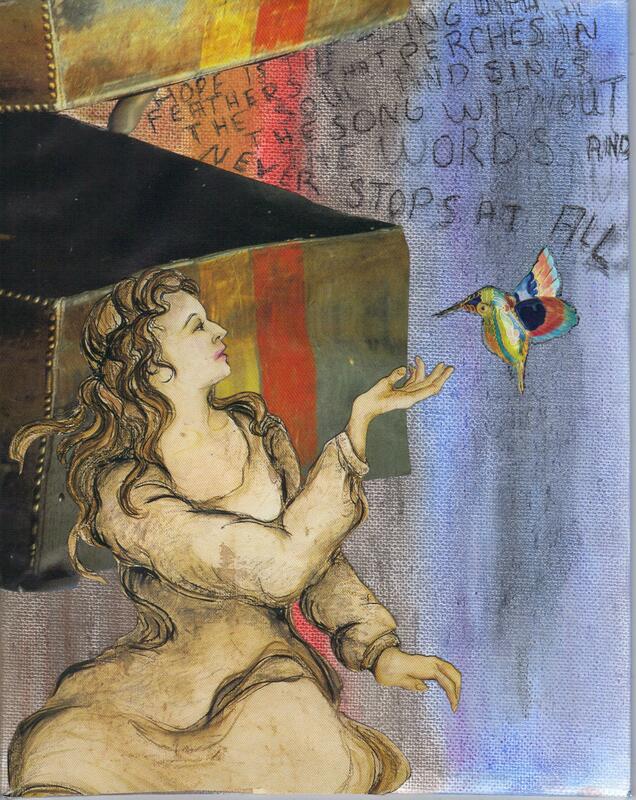 Among my Pandora related collage images I found a rainbow-colored box and a rainbow-colored bird and although Michelle had already appropriated Emily’s poem, I wanted to use it, too. 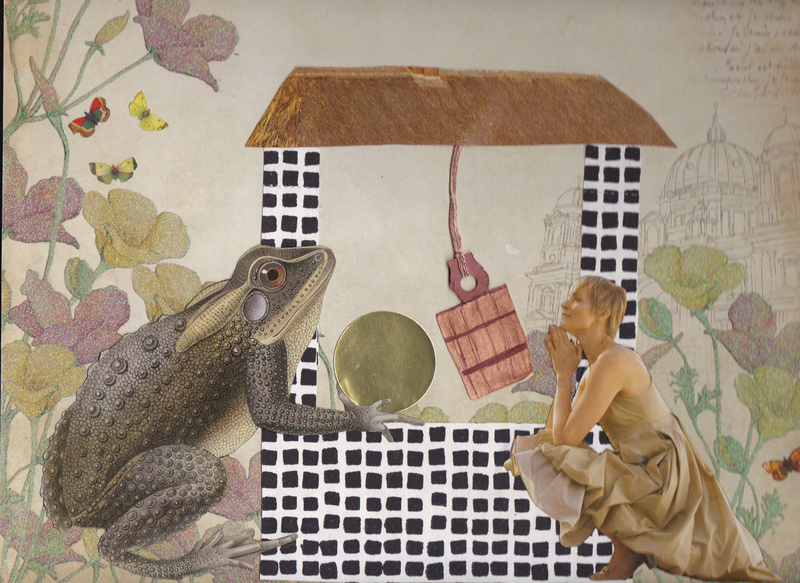 My last collage for this story, leaves the ending as ambiguous as ever . It answers none of our questions. Who sent the storm that rained for forty days and nights – and why? Why must girls be raised in ignorance to be exploited, manipulated and used? Who profits from promises? Who does Hope serve? What lies beneath the surface of this tale built on deceptions?